“Hi Beverley, I am in hospital thanks to someone who didn't use an extending lead properly. It must have been 30ft and the dog at the end, totally out of control. The dog came right up to mine and over I went in the road breaking my femur. Instead of taking her dog away she left her to play and I was getting dragged round the road. I had to tell the owner to take her dog away. What's so bad about them? Download your free guide to save you making the wrong choices! These are all pretty frequent occurrences and documented facts. I have heard several of these stories direct from the unfortunate victims of the misadventure. Think I’m exaggerating? There are stern warnings on the website of the biggest manufacturer of these infernal devices. They say "This leash should only be used by responsible people who have read and can follow all of these precautions." I hope by now that you have taken your retractable leash (if you have one - most new dog-owners are duped into buying one) and put it in the bin. But if you are supremely confident that none of the things listed above could ever happen to you or yours, take a look at what these leads do to your training and - for me, the most important thing - your relationship with your dog. 3. There is no sensitivity in a lump of plastic. Imagine asking a showjumper to hold a clumpy plastic handle instead of having his delicate fingers on his horse's reins! 4. 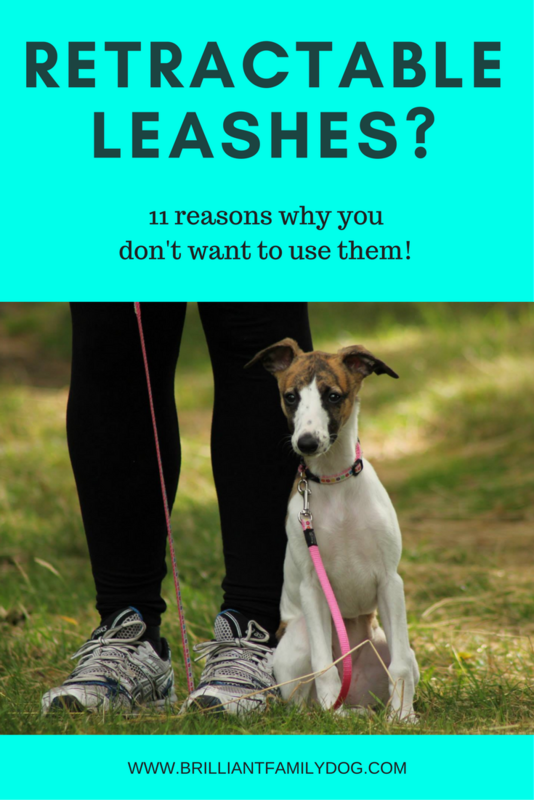 They are a lazy option and teach the dog nothing that you would like him to learn. To cap it all, these leads are illegal in many US states, notably in San Francisco and New York. So do yourself and your dog a favour! Bin the expensive retractable lead and equip yourself with the right sort of lead to achieve safety, connection, and that lovely loose lead walking. This post will get you started! Don’t know what to get? Download this free guide to Dog Gear so you don’t waste money on equipment that will compound problems and only make your life harder.